Focusing on algorithms for distributed-memory parallel architectures, Parallel Algorithms presents a rigorous yet accessible treatment of theoretical models of parallel computation, parallel algorithm design for homogeneous and heterogeneous platforms, complexity and performance analysis, and essential notions of scheduling. The book extracts fundamental ideas and algorithmic principles from the mass of parallel algorithm expertise and practical implementations developed over the last few decades. In the first section of the text, the authors cover two classical theoretical models of parallel computation (PRAMs and sorting networks), describe network models for topology and performance, and define several classical communication primitives. The next part deals with parallel algorithms on ring and grid logical topologies as well as the issue of load balancing on heterogeneous computing platforms. The final section presents basic results and approaches for common scheduling problems that arise when developing parallel algorithms. 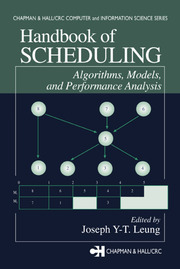 It also discusses advanced scheduling topics, such as divisible load scheduling and steady-state scheduling. With numerous examples and exercises in each chapter, this text encompasses both the theoretical foundations of parallel algorithms and practical parallel algorithm design. Exercises and Answers appear at the end of each chapter. "…The authors of the present book, who have extensive credentials in both research and instruction in the area of parallelism, present a sound, principled treatment of parallel algorithms. … This book is very well written and extremely well designed from an instructional point of view. … The authors have created an instructive and fascinating text. The book will serve researchers as well as instructors who need a solid, readable text for a course on parallelism in computing. Indeed, for anyone who wants an understandable text from which to acquire a current, rigorous, and broad view of parallel algorithms, including the principles for their design, development, and analysis, this book is highly recommended." 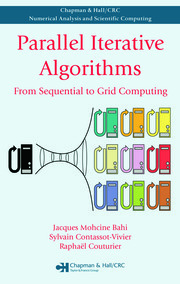 "… It extracts the main ideas and principles of parallel algorithms developed over the last few decades. … the authors perfectly explain not only homogeneous models (which are everyday problems on clusters of identical nodes) but also load balancing on heterogeneous platforms (connecting different clusters or many different workstations). This book can serve as a very good teaching book or a source of useful material for graduate students and researchers in parallel distributed memory architectures. It contains many schemes, diagrams, and pictures for better understanding, including many practical examples, case studies, and exercises." 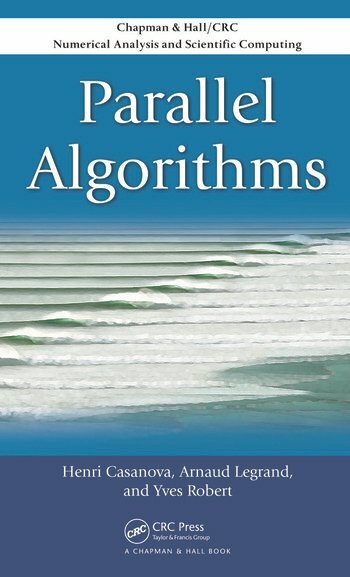 "Parallel Algorithms is a text meant for those with a desire to understand the theoretical underpinnings of parallelism from a computer science perspective. … [it provides] the tools you need to continue on a rigorous research track into the computer science aspects of parallel computing. … those motivated to work through the text will be rewarded with a solid foundation for the study of parallel algorithms."